Western Concrete produces a wide range of ready mixed concrete for a variety of commercial and residential applications from curbs and sidewalks to foundations, roadways and buildings. Specialty mix formations such as SCC and Tremie concrete provide a wide range of enhancements for specific applications. Flowable Fill - Applications include Utility trench backfill, Road cuts, Foundation wall backfill, Underground tank filling. Colored Concrete - For an aesthetically appealing colored concrete, we offer a range of colors. Fiber Reinforced Concrete - improves impact resistance, reduces plastic shrinkage cracks and flexural strength. SCC - Self-compacting Concrete - Is self-leveling and flows easily through high congested forms. Is highly flowable and can move into place under its own weight and achieve good consolidation without internal or external vibration and without exhibiting defects due to segregation and bleeding. Tremie - A method of placing concrete under water through a pipe or tube. For tips on finishing, curing, quantity calculations, and other information, please visit the MRMCA website. 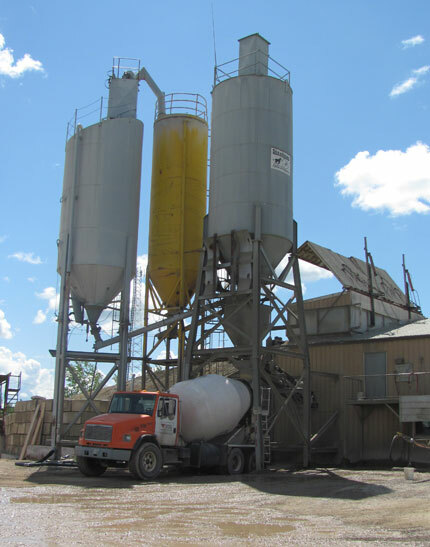 We supply and deliver ready mix concrete for all applications in the Brandon and Shilo area.